With that being said, I have some good news and some bad news. 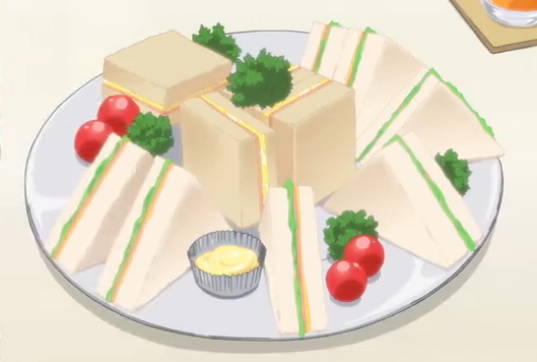 Today, I present the sandwiches from K-ON! that Nodoka brought to Yui's study cram session. It's such a shame because I have been working on culinary adventures, anime food re-creations, and other fictional foods, but my laptop woes prevented me from blogging this summer. Now that I have my laptop again, I don't have time to write any posts! Before I go, I just wanted to thank all my loyal followers who have stuck with me on my journey so far and welcome all the new Adventurers who have just discovered this blog! Wish me luck as I start this chaotic, but exciting new school year and I'll see you in my next adventure when I return!